Jack’s finding his way, the brothers are still split on how to handle him, and Hell has a new leader. 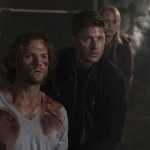 It’s an exciting time on Supernatural, with promises of more danger to come. Poor Winchesters, they can never have a normal life. We’re being introduced to a number of new characters this season, and so far I’m really liking the additions! With the amount of deaths we had in last year’s finale, I guess it makes sense that we need to repopulate the character groups. Now we get a man and a boy that I both fear and love. Such potentially rich storylines to come with these two characters. First we have Asmodeus, who I instantly fell in love with. Maybe it’s the Southern accent, maybe it’s his long history, or maybe it’s the hard-line approach he’s taking with his minions. For whatever reason, he’s promising to be an absolutely fantastic leader of Hell in Lucifer’s absence. After cleaning house and making his status known, I very much enjoyed learning more about his history. With his fascination with the Shedim, and his attempts to free them again with Jack’s help, I wonder if this will be Asmodeus’s eventual downfall. Lucifer has already shown his displeasure over the Shedim’s involvement once. Is Asmodeus going to repeat his mistake and suffer Lucifer’s wrath yet again? One thing’s certain: the Winchesters are going to have quite a bit of trouble on their hands when dealing with the fourth Prince of Hell. He’s charming, fun to watch, and holds no loyalties to the Winchesters. I’m loving it already! Then there’s Jack; squishy, adorable, potentially-apocalyptic Jack. 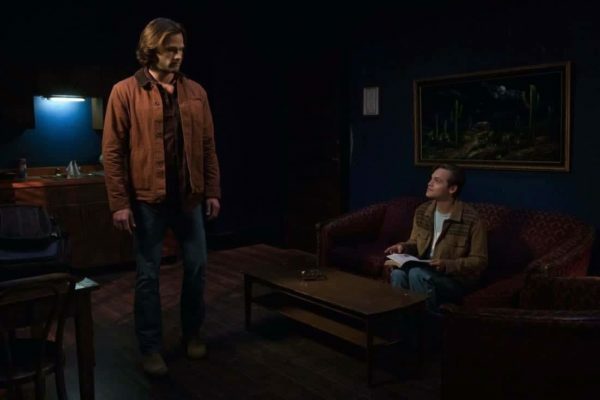 He’s still figuring out his powers, trying to determine out how he fits in the world, and all the while his future’s being fought over by Dean and Sam. 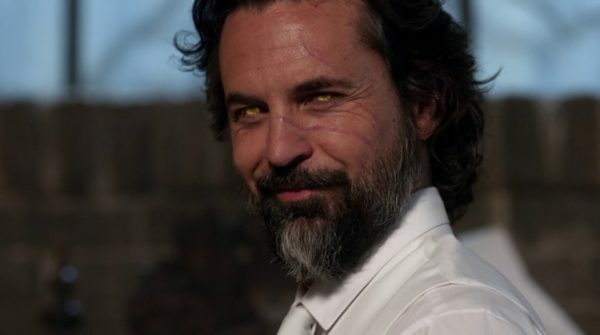 With his appearance in the finale, and even during a few dramatic moments of the premiere, it seemed like he was bound to bring forth death and destruction on this world. What he’s actually bringing is fuzzy feelings of wanting to love and protect him. He has such an innocence when approaching the world; watching cartoons, reading about his celestial family, and even matching Dean’s actions as they eat. And while he’s still coming into his powers, Jack’s trying to learn the right way to control them, yet recognizes how they could be used for bad. 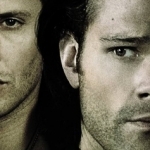 I was surprised that he acknowledged how it all may end – with Dean having to kill him. Let’s hope it doesn’t have to come to that just yet. But Jack’s potential cannot be denied. Even Donatello was pulled to his location because of the waves of power he’s putting off. Yet, unlike his dear old dad, Jack’s power isn’t dark or toxic. Could this mean he can be molded into a source of good? Or is his destiny already set? 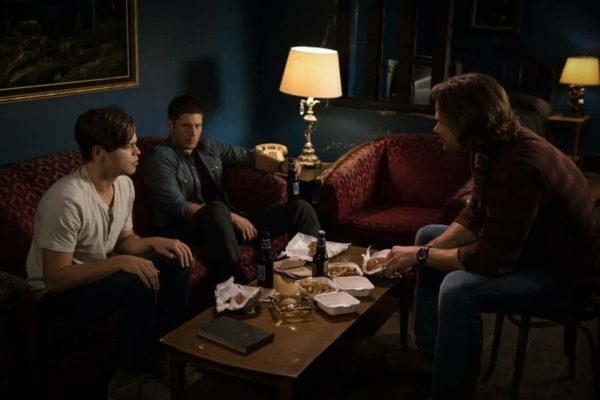 Sam’s still convinced that not only is Mary alive, but Jack could be their key to getting her back. And he is correct on at least one of those points. She is indeed still alive, paired with Lucifer to go traipsing through the unforgiving landscape of the mirror world they’re stuck in. Lucifer’s plan to trade Jack for Mary might actually turn out well for the Winchesters, depending on Jack’s status by the time that happens. In the meantime, it’s intriguing to see how characters from our timeline have changed or been altered by the events in the other world. Michael doesn’t appear to be as much of a match against Lucifer in mirror-world, even though he did kill his version of the devil over there. I wonder if Lucifer will take out Michael and be the supreme ruler of that world before it’s all over. What I do know is that there’s tons of storyline left and it’s likely to get worse for everyone before it’s all over. I can’t wait to see how it all plays out!